Meet the 18th Century chess machine Jump to media player A master magic builder has recreated an 18th Century automaton that took Europe and America by storm. 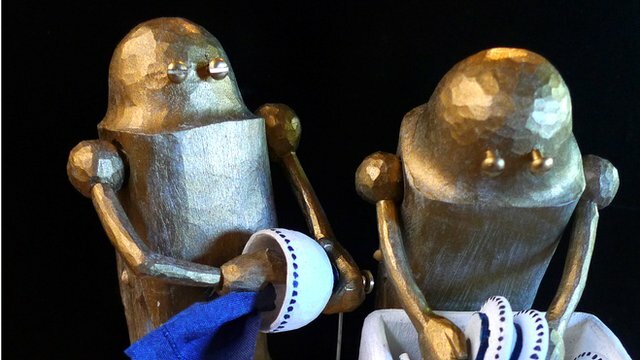 A master magic builder from California has recreated an 18th Century automaton that took Europe and America by storm. 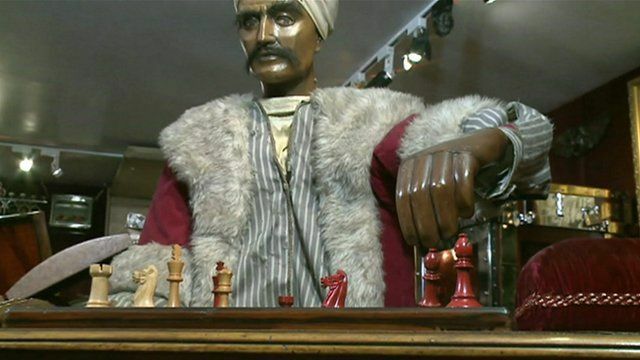 For more than 80 years, Wolfgang von Kempelen's Mechanical Turk amazed people on both continents by appearing to play chess. The Turk was a trick - somewhere inside its cabinet was a human controlling the moves. But the Turk's secrets were lost after it was destroyed in a fire in 1854. Now John Gaughan has completed a replica of the Turk, following years of research and expense. Peter Bowes went to meet Gaughan and his creation, to find out as much as he could about the mystery of the machine.